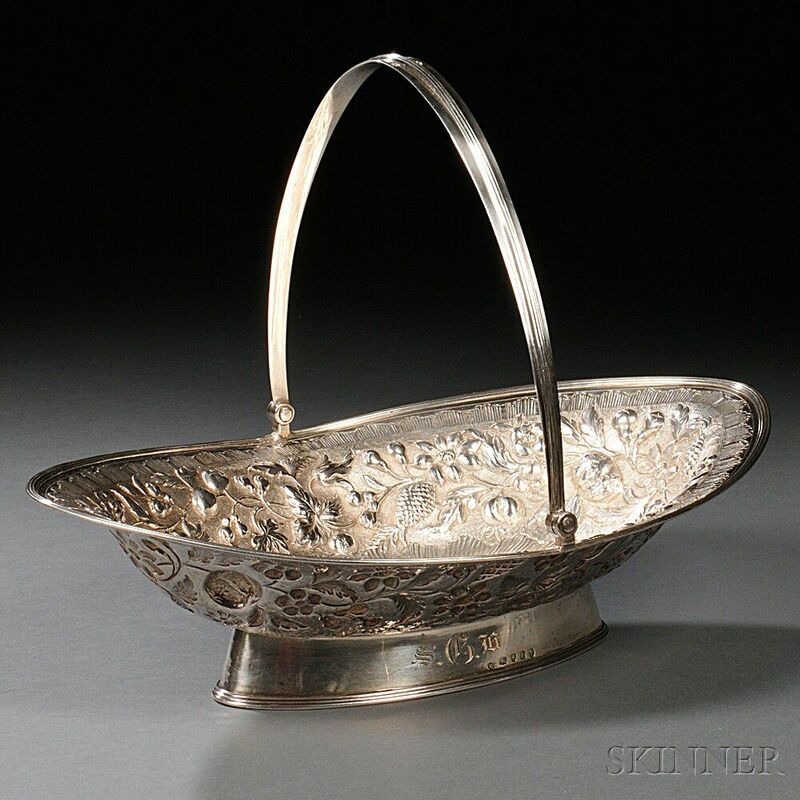 George III Sterling Silver Fruit Basket, London, 1801-02, William Allen III, maker, the ovoid dish repousse-decorated with various fruit amongst a floral vine, with a bail handle, engraved armorial to center, and monogram to ovoid foot, lg. 14 in., approx. 24.6 troy oz. Minor surface abrasions, pinprick dents to interior. Joint of foot with some darker solder marks.